They tell you no, run away from you and use up all of your money. They throw a fit, leave a mess and seem to take extra long to get anything done. But, they also cuddle with you, love to play games and ask to read a book. They tell you they love you and look up to you as their hero. There’s no doubt about it: kids are a challenge. If you’re a parent, you know how grueling the role of caregiver can be. But, being a parent is also the most rewarding experience in life. Especially if you strive to live an altruistic lifestyle, there’s nothing quite so altruistic as parenting. Kids rely on you for their every need, and you show them how much you care by providing, serving and giving affection. And what better way to show affection than by celebrating today—Global Hug Your Kids Day! Global Hug Your Kids Day is a day we can all get our arms around. Celebrated on the third Monday of July, the purpose of today is simple: hug your kids. Show them how much you love, comfort and support them by giving them hugs which make them feel safe and secure. Still, there’s more to Global Hug Your Kids Day than just giving your kiddos a hug or two. If you want to celebrate today, here are some fun ideas to get you started. 1. Give your kids a hug. Obviously, one of the easiest ways to celebrate Global Hug Your Kids Day is by giving your kids a hug. 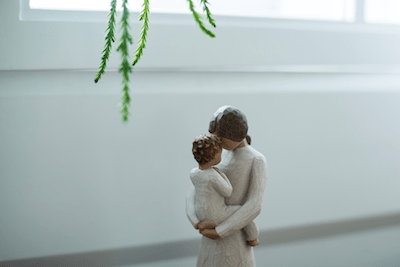 After a tragedy, one common sentiment and saying people share is along the lines of, “Be sure to hug your kids.” But, why not strive to continually show your children affection through hugs? Use today as an excuse to give your kids a big, loving hug, and show them how much you care. Get into a consistent habit of hugging and making sure your kids feel loved. 2. Hug other kids you care about. If you don't have children, fret not! You can still get in on the holiday. Use today to give other kids in your life a hug and show them how much you love them. If you have a niece or nephew, a child mentee or even a family friend, give them a hug today. Or, if you are a parent, see what other children in your life might need a hug today. Maybe their parents are no longer with them, and they need someone to step in. Celebrate the holiday by giving hugs to kids in your life from a variety of different backgrounds. 3. Learn the science behind hugs. If you celebrate Global Hug Your Kids Day, why not learn some of the science behind hugs? Turns out, hugs are actually extremely beneficial to our emotional, mental and even physical health. According to a Reader’s Digest article, hugs can boost your immune system, lower stress levels, increase self-esteem, reduce depression and even promote trust. In fact, hugs are critical to our physical and emotional survival. Dr. Deb Castaldo, Ph.D., even reported that babies and animals who do not enjoy touch benefits can fall victim to the “failure to thrive” condition, which can literally result in death. So, take today and start hugging, for your own sake and for the sake of your children! 4. Discover your kid’s love language. Finally, use today to research and understand your child’s love language. A love language refers to how someone prefers to receive and/or demonstrate their love and affection for another person. Various studies and scholars have identified “The Five Love Languages” as words of affirmation, quality time, receiving gifts, acts of service and physical touch. While hugging might be a great way to show love, physical touch might not even be your child’s main love language. Take time to consider what your kids’ love languages might be, and how best you can demonstrate love to fit their needs. For instance, if your child loves quality time, then a great way to show affection might be spending some one-on-one time with him/her, rather than always spending time as a big family. Nothing is more altruistic than parenthood. If you’re a parent—or even if you’re not—take today to celebrate Global Hug Your Kids Day. Give your kids a hug and show them how much you truly love them. Today is the perfect opportunity to show your kids you appreciate them, and demonstrate your love with a great, big hug.